Select your options and I will create your awesome retirement cake. Follow up with a message when you want the cake ready. 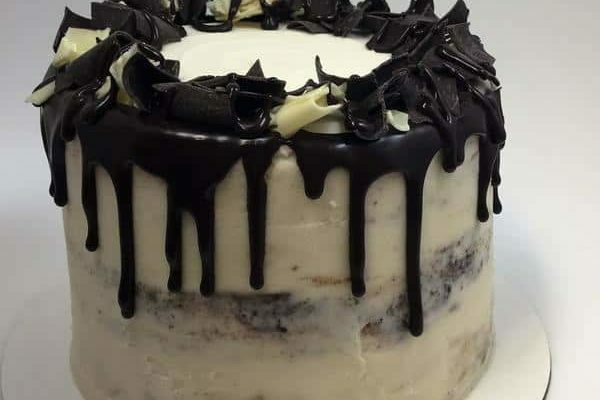 Cakes are to be kept in a cool, dark room or household fridge before serving time in order to protect the coloured fondant from fading or buttercream flowers from melting. Vanilla- Old fashioned, buttery golden yellow cake, just as moist and dense as Grandma used to make. Filled and frosted with our house vanilla buttercream. 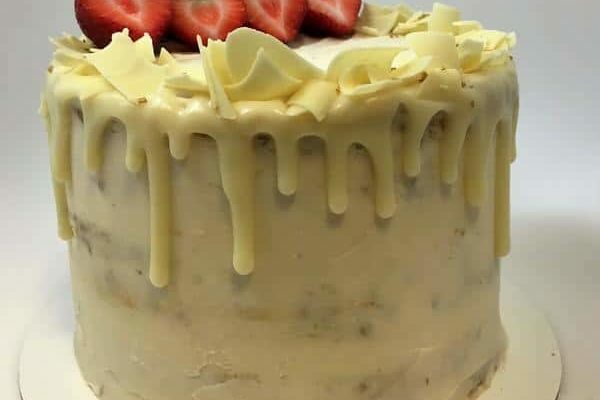 Vanilla Cakes are decorated with ascending gold sprinkles, white ganache drizzle and white chocolate curls and flakes. 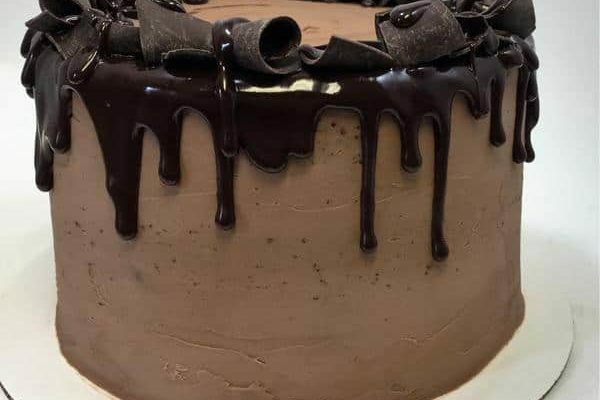 Chocolate- Rich, fudgy chocolate cake filled and frosted with our house chocolate buttercream. 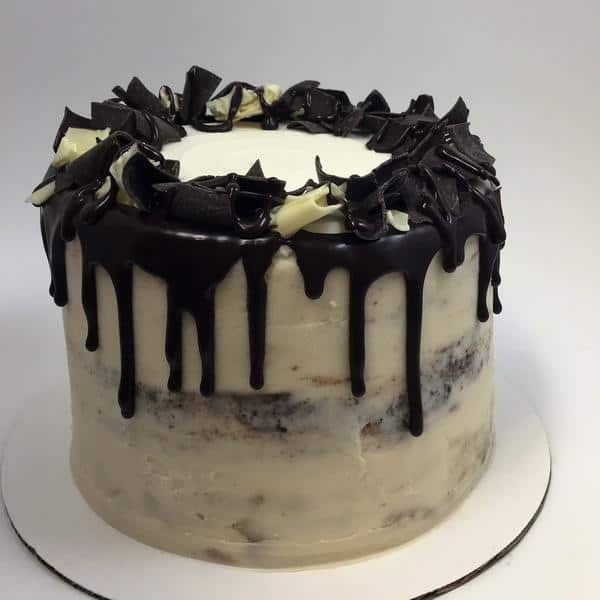 Double Chocolate Cakes are decorated with chocolate flakes and chocolate ganache drizzle. 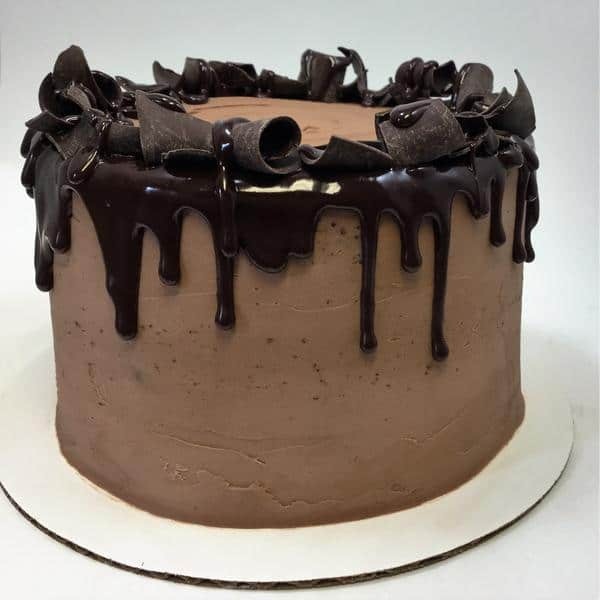 Tiger- Alternating layers of buttery golden vanilla and chocolate cake, filled and frosted with our chocolate buttercream. 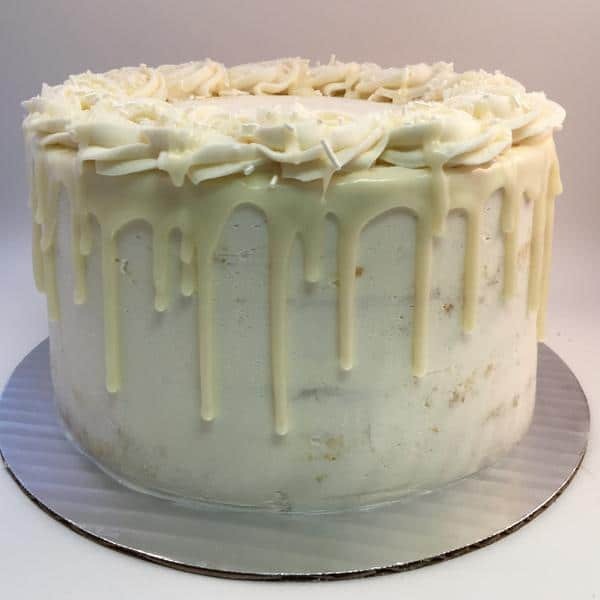 Tiger cakes are decorated with white ganache drizzle and white and chocolate curls. 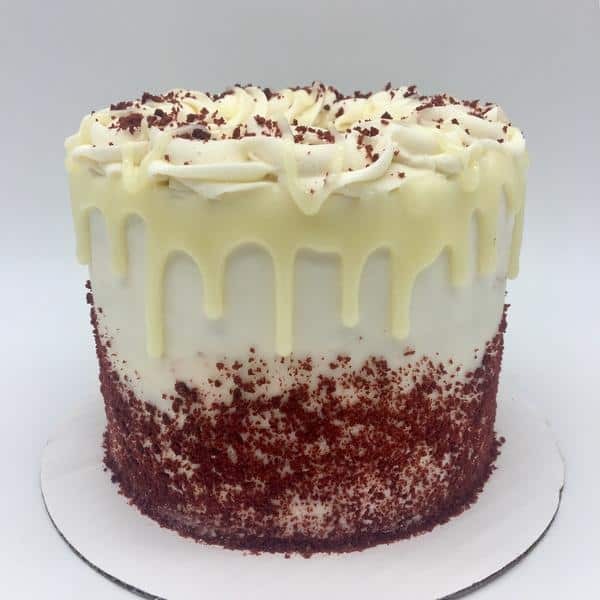 Red Velvet– One of our most popular cakes, our red velvet is always moist and dense with a light chocolate flavor. 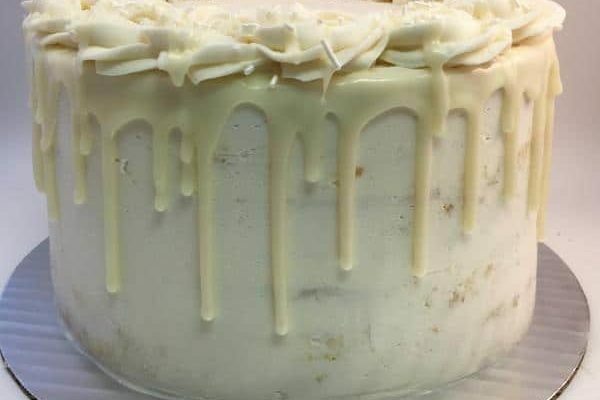 It is perfectly paired when filled and frosted with our house vanilla buttercream. 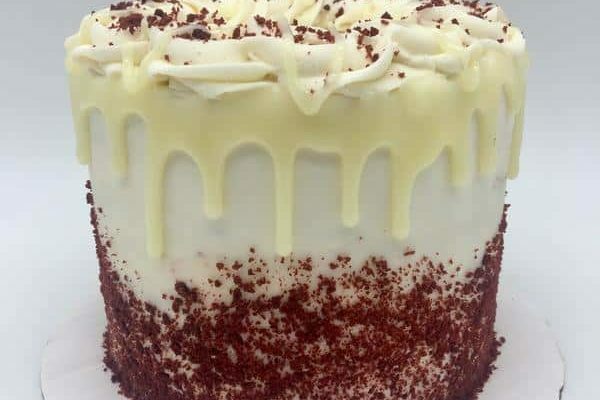 Red Velvet cakes are decorated with red velvet cake crumbs and a ring of buttercream rosettes. 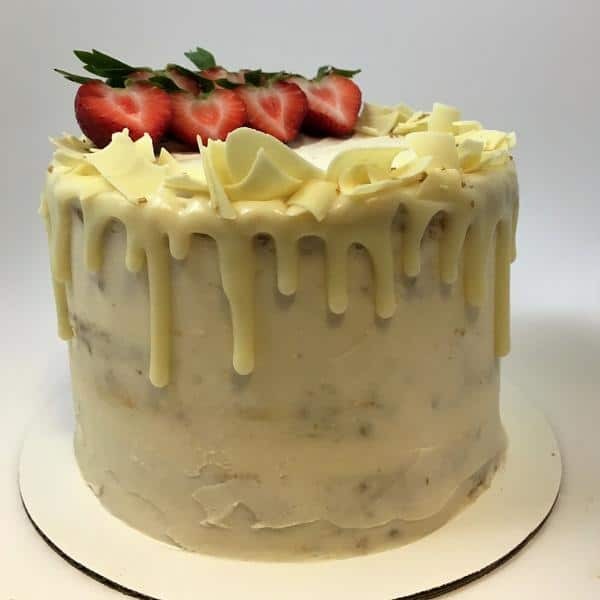 Strawberry- Made with real strawberries, this pretty pink cake is filled and frosted with our fresh strawberry buttercream. Strawberry cakes are decorated with a ring of strawberry buttercream rosettes and fresh strawberry halves.